The continued assault on high quality public education in Black communities is another form of violence against Black youth in Chicago. Like arbitrary and invasive stops and frisks on Chicago streets—the same streets on which these schools are being closed—educational inequities serve as a reminder that young Black people are not valued by the City of Chicago. It also sends the message that Black neighborhoods do not deserve the same development opportunities as other neighborhoods, even while they are heavily policed. Call Mayor Emanuel at (312) 744-3300, Alderman Will Burns at (773) 536-8103, and CPS CEO Forrest Claypool at (773) 553-1500 and tell them that you support the Dyett hunger strikers and demand that they meet with them and support the community’s wishes for the Dyett Global Leadership & Green Technology HS. Along with political education and demonstration, Black August is traditionally a time for fasting and sacrifice in solidarity. 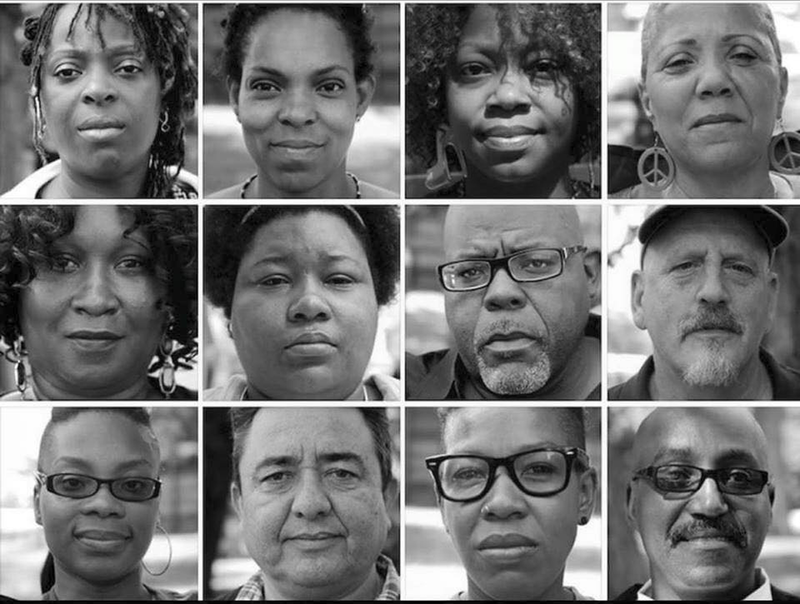 Please visit the Dyett hunger strikers and consider joining them in solidarity fasts—already being participated in by hundreds of individuals around the country today. 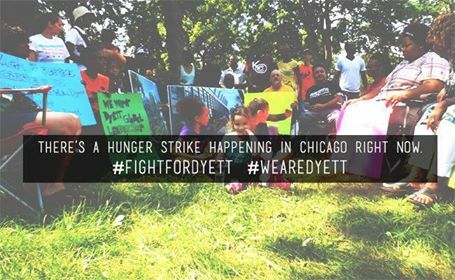 Search the hashtags #FightForDyett and #WeAreDyett, and spread news of the hunger strike far and wide. Talk to your family, friends, and neighbors about the connections between strong community-run schools and all forms of state violence against Black people. Fact Sheet: STOP ACT and What’s the Harm with Stop and Frisk?